When used effectively, social media offers civil servants an abundance of opportunities to drive campaigns, receive feedback and engage with the public. Social media has become a huge part of modern life, with 83% of the UK population now active on at least one platform; social media has become a key communication channel. What can civil servants use social media for? Create engaging posts, photos and videos. Receive feedback from an audience. Listen to opinions and commentary on issues. Answer questions and actively engage with an audience. As part of the civil service, you will find that anything you post on social media will be under constant scrutiny, so it is important to have done your research and come up with a strategy before diving in. Knowing how to present yourself online, which platforms your audience use, and the type of content that performs best on each platform is essential to the success of your social media efforts. Here are a few key social media tips to help civil servants get started with engaging their audience online. Use images and videos – Videos and images make your message more interesting and engaging, meaning your audience is more likely to listen to what you have to say. Visual content, therefore, tends to receive more engagement and so is prioritised by social media algorithms, making it more likely that your followers will see your post. Show the human side – Social media offers a great opportunity to humanise your department or organisation. Tell stories and let your audience in behind-the-scenes to give your social media page a friendly, personal feel and improve engagement rates. Be interesting – Need to get a message across? Be creative in your approach and only share content that you feel would be of real interest or value to your audience. Use a call to action – Tell people what to do next after viewing your content. If you’re looking for engagement, ask them to tell you what they think or share your post with their friends. If you’re posting a link, offer them a reason or incentive to click it. 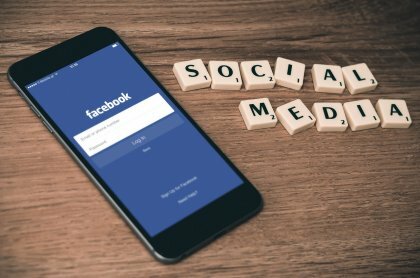 At the Civil Service College, our new social media course can help you gain a deeper understanding of the primary social media platforms and how to use them effectively in the civil service.